We’re into March! After meeting with the client, a few changes are needed. 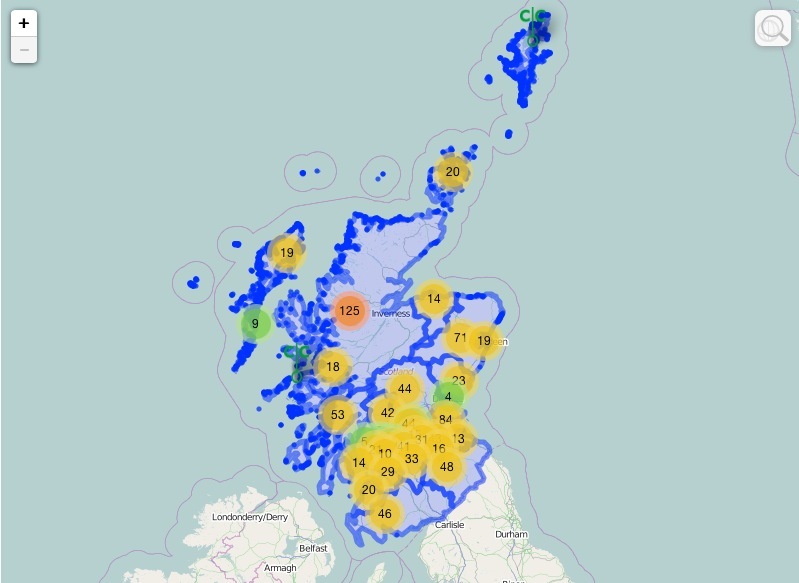 In the geoJSON file, each feature (i.e. each LA) has an extra line in the ‘properties’ piece: “colour_code”:3 //BMR 2014_02_21. I do not claim this was the most efficient way! The following is an expanded write-up of a previous blog entry. Start a new project in QGIS. Do Layer > Add vector layer… and select district_borough_unitary region. Select and cut out the non-Scottish features. 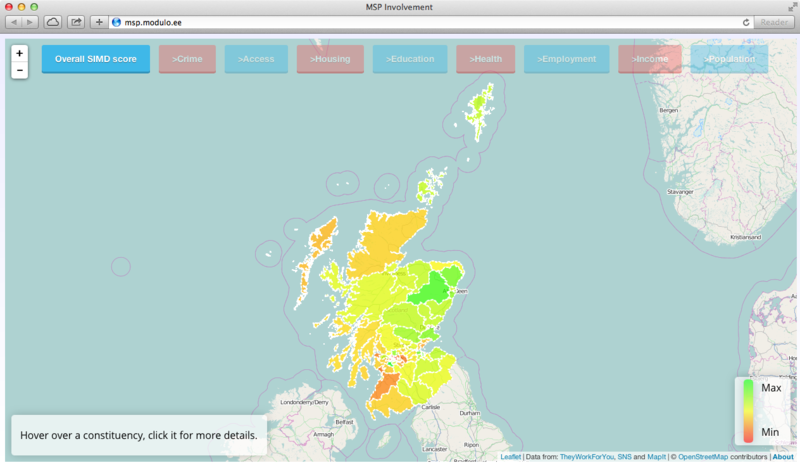 Save the project as Scotland. Select each LA in turn, then do Vector > Geometry tools > Simplify geometries. The options I used were: but with a different file for each LA. 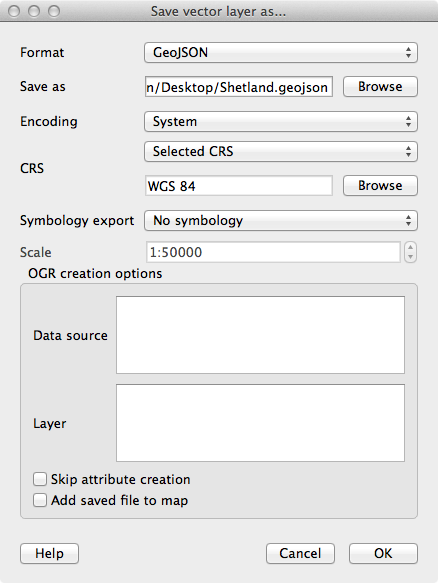 For example, Shetland’s 160,883 vertices were reduced to 5416. So now I had 32 separate geoJSON files. To combine them, I used the process described here to make a single laBoundaryData.js file. 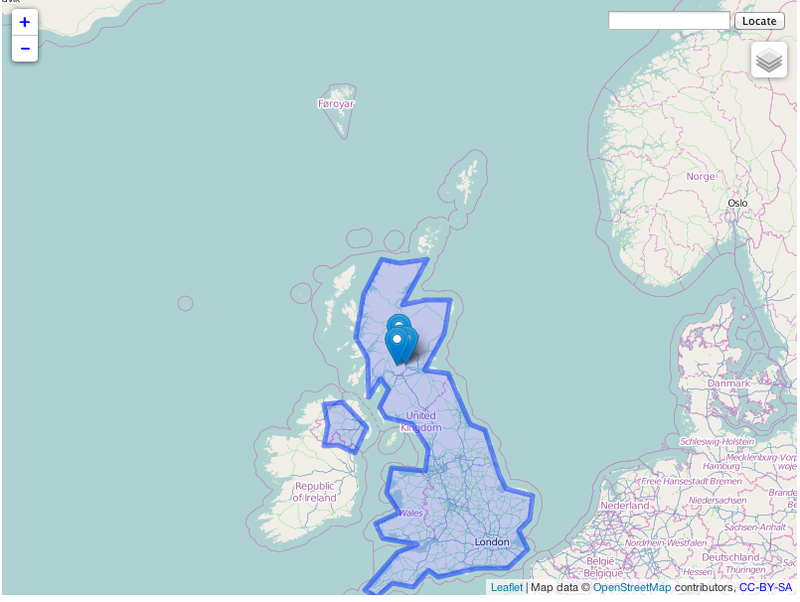 That’s my geoJSON file on which the above styling magic works. If I’d been clever, I’d have made the script write the extrema data to the file. But this is a one-off and so it would have taken longer to write code to do it than to do it myself. I can’t remember much of last week. My diary tells me I was occupied every weekday evening. Monday, Wednesday and Thursday evenings were at gyms, with a brief visit to a social media surgery before Thursday evening’s gym session. 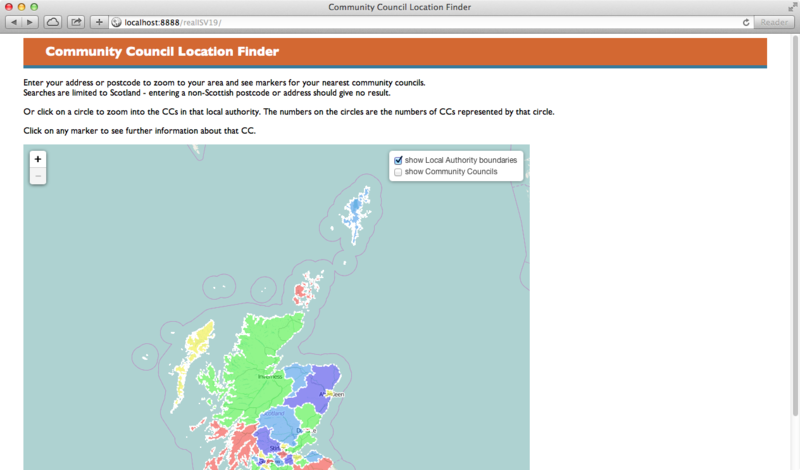 Tuesday and Friday evenings were spent helping a community council set up its new WordPress blog. 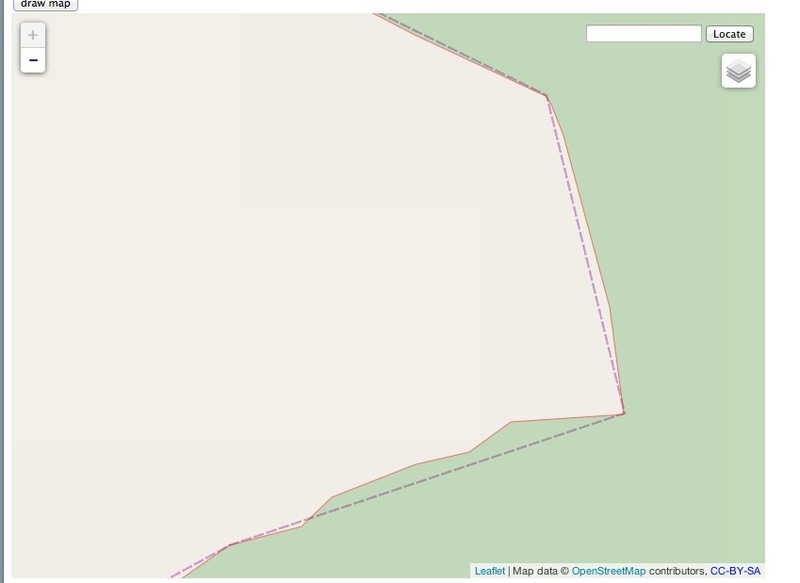 The latest version of the code shows I can display a polygon based on a geoJSON file (tutorial). 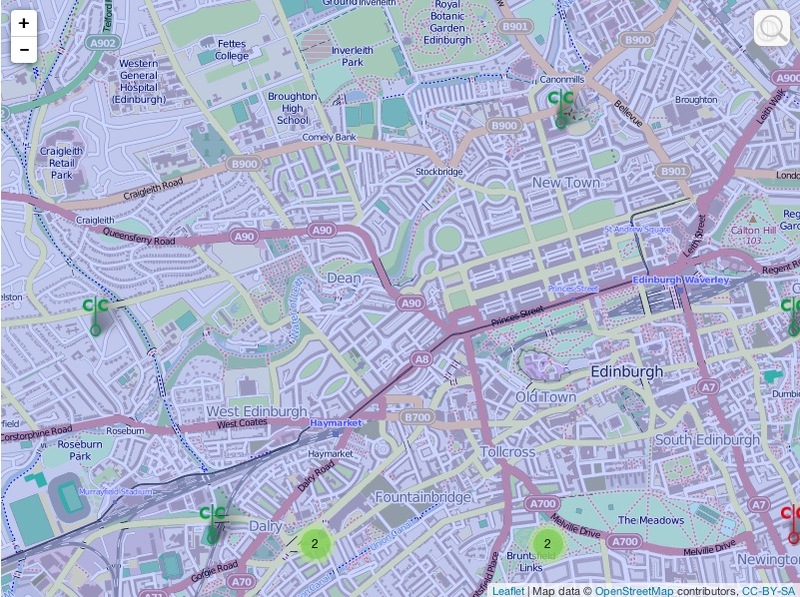 I also know I can obtain open shapefiles for LAs from the Ordnance Survey. 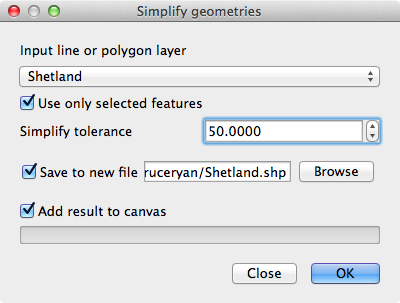 The intervening step is to convert shapefiles to geoJon. Supposedly GDAL does that but I’ve not yet persuaded my mac to run it. Following this tutorial may help – but that’s for tomorrow! 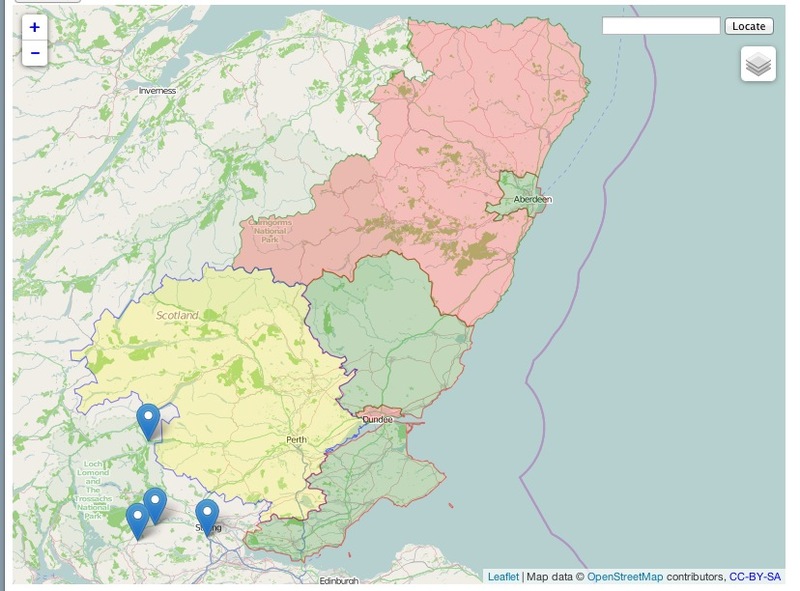 This tutorial shows how to actually use geoJSON files!